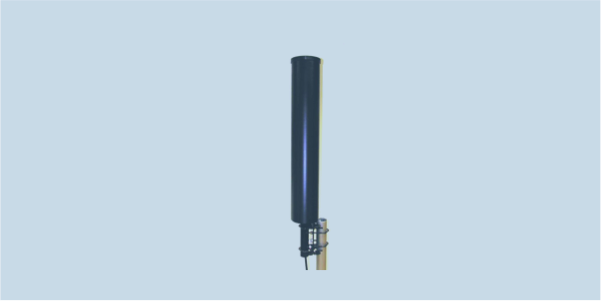 AD-10/A is a wideband dipole antenna covering 200-512 MHz, with up to 200W power handling and unity gain, making this omnidirectional antenna useful for jamming and communications at fixed sites. AD-10/A is a wideband vertical polarized dipole covering 200 to 512 MHz for stationary site use. Electrically the antenna is designed with upper radiating structure divided into two axially placed elements, mutually connected so that each element works in its active region. Such design enables a large bandwidth and well-behaved radiation in elevation. Elements are enclosed in an epoxy - glass composite tube and the antenna has a 1m coaxial cable pigtail with N female type at the end. A special tube with console adapter enables mounting to a mast with diameter up to 60 mm (2”).